You are able to browse the materials in two different ways. 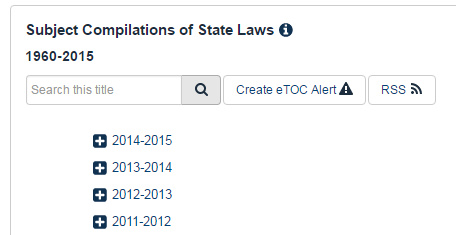 You can browse the list of subjects that are contained in the database and you are able to browse the actual volumes that have been published since the first volume was published in 1981. If browsing isn’t your preferred method, then you can also make use of the various searching methods provided such as Keyword, Title, Subject and even Cases or Court. 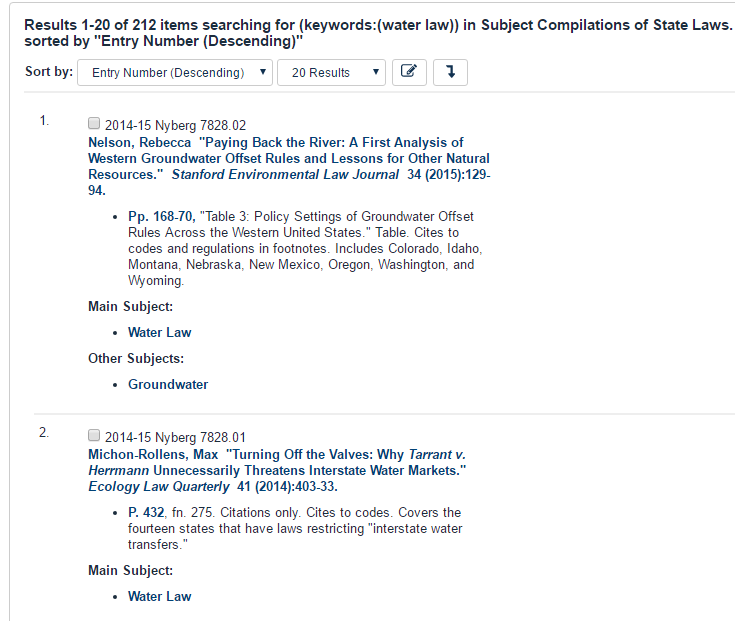 Sample results from a keyword search for “water law.” If available, the results will directly link you to publications that are available within the HeinOnline collection of libraries. 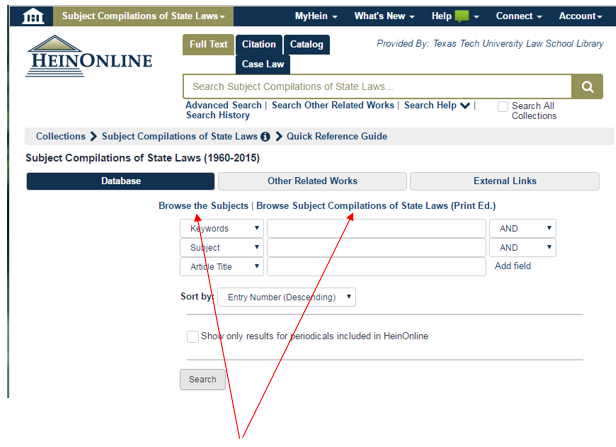 For further information or assistance with using this resource, please visit the Quick Reference Guide or contact one of the librarians here in the Law Library.